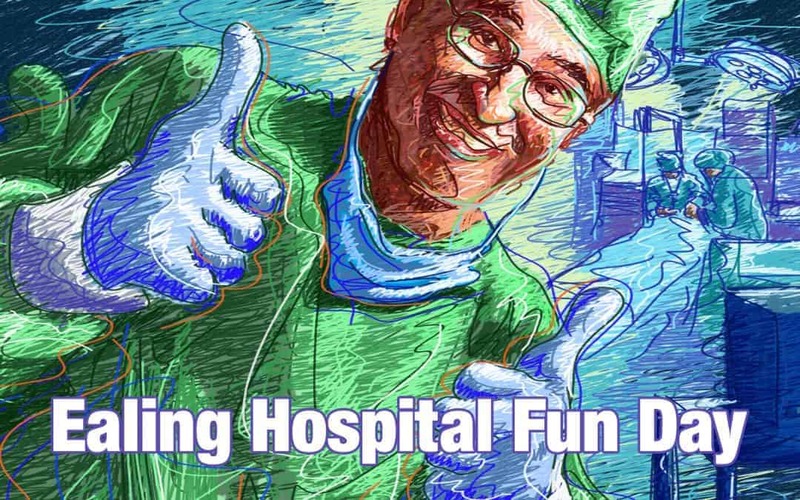 On Saturday I was booked to perform 3x 30 minute magic shows for Ealing Hospital’s Fun Day. The aim was to involve the local community in fun activities and show them what the hospital does. It also gave local residents a chance to speak with people from the different parts of the hospital with any ideas or concerns they may have. I was there to make sure all the familes were entertained, and as we had children coming back to see all three shows, they were all different, to make sure everyone got to see something different on each visit. There were also face-painters and my friend and collegue “Jingo the Jester” who was walking about making balloons for everyone. All in all, a fun day was had by everyone. Well done to Ealing Hospital for putting on such a great event. Watch the short video I made of the event.